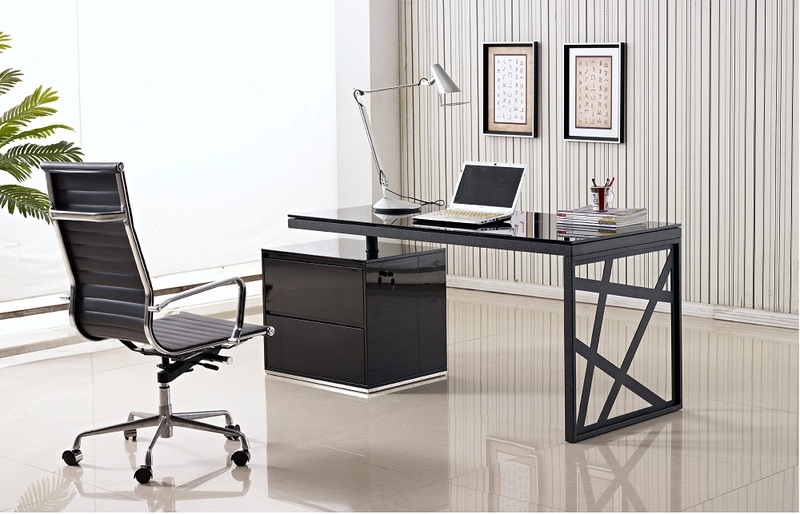 Inspired by popular visual designs, the KD01 modern office desk features an eclectic style that combines simplistic designs with bold geometric shapes. Equipped with 2 drawers for storage, The KD01 can additionally be locked for privacy. Available in a black lacquer, with a chrome accent.